This has to be done in light of an order by Haryana Rera’s Gurugram bench, which has clarified that mere filing of application does not exempt a project from registration. 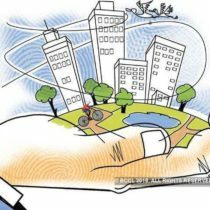 Obviously, the implications are huge, not only in Gurugram but in other parts of NCR like Noida and Ghaziabad and also states like Gujarat and Madhya Pradesh where homebuyers have accused state governments of diluting norms to ensure most incomplete projects don’t need registration with the regulator. The H-Rera rules, which came into effect on July 28, 2017, say incomplete projects won’t be categorised as “ongoing” if the promoter had applied for an occupation or completion certificate before that date. This had come under severe criticism from homebuyers’ associations, who described as a favour to developers. Under central Rera rules, any project that does not have a completion or occupation certificate will be considered an “ongoing project” and it is mandatory for such projects to be registered. “We had been making this point since Haryana and other states notified their rules, which are in contravention of the central rules. It’s good that the Haryana Rera has ordered in favour of homebuyers,” said Abhay Upadhyay, national convener of Fight for Rera, an umbrella body of homebuyers that fought for enactment of the law to protect consumers. The bench has also ordered projects where part-occupation/completion certificates have been issued but development work has not been completed will also not be exempted from mandatory registration. “During hearing of complaints, many such cases have come to the notice of the authority and in those cases, DTCP (department of town and country planning) shall be requested to withdraw the completion/occupation certificates issued and also to initiate an inquiry as to how such certificates have been procured fraudulently. For such projects, a time of one month shall be given to the promoters to apply for registration, otherwise penal proceedings shall be initiated,” the order said.